Strange and lovely. 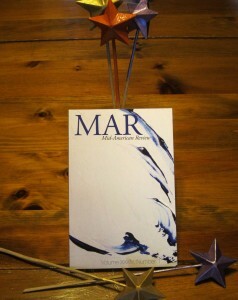 The new issue of Mid-American Review (Volume XXXIV, Number 1) is now out in the world. We’ve got a lot of good stuff in this issue, including stories about attempted tiger dissection, dresses the color of robin eggs, and Sasquatch costumes, plus two essays (“The Red Essay” and “A Blow to the Head for St. Louis Barbecue”) that are incredibly inventive and beautiful and strange. And hey, if you’re a subscriber and got this issue in the mail, there’s a 50% chance I was the one to seal your envelope. The life of a literary magazine editor is a glamorous one indeed. ‘Tis the season for literary hope. 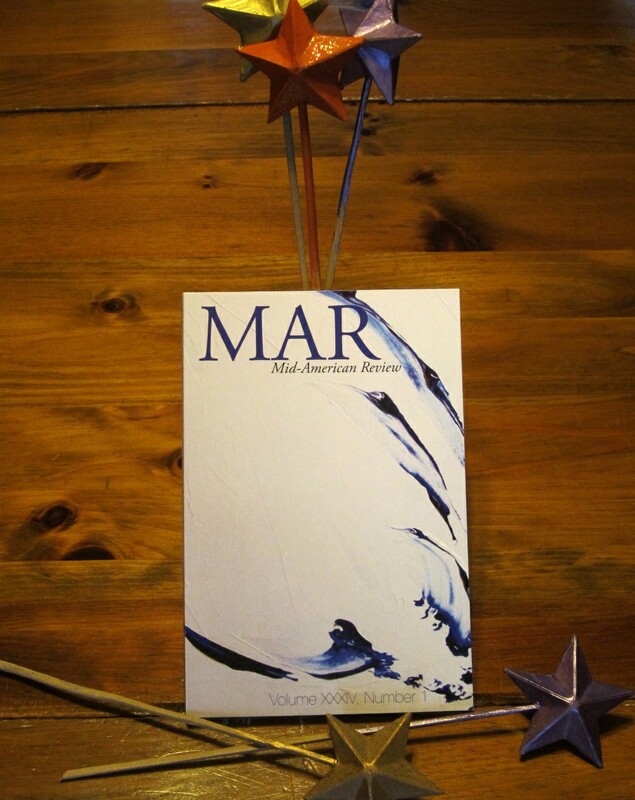 I know it’s easy to get discouraged about sending work out to literary magazines, and sometimes it feels like these journals don’t actually publish anything they find in the slush. If that describes you, let me share a few bright spots: First, the Mid-American Review definitely reads all submissions, and the general submission pile is where we find just about all the work we publish. Next, while I can’t reveal any details yet, a magazine I’ve very much admired for years (and one I consider big-time) may very well publish one of my pieces — and yes, it’s something that came to them through the general slush. Finally, Michael Alexander Chaney put together a list of “top lit mags that REALLY do publish emerging writers,” which includes some excellent publications. So have heart and send out your work! Merry Christmas, here’s some booze. Hey, look — The Millions put together a gift-idea list for writers that actually isn’t awful. What literary-minded friend wouldn’t want a bathrobe, booze, coffee, bookends, or a handwritten letter? For anyone out there keeping count, I’m particularly partial to #4, #7, #8, #11, #14, #16, and #17. Effortless writing, guaranteed! Last week, I noticed some guys in high-vis vests walking around my Cleveland neighborhood. Were they selling something? Conducting some sort of utility work? Nope — they were distributing free pens in a bizarre, door-to-door pen promotion (see below). 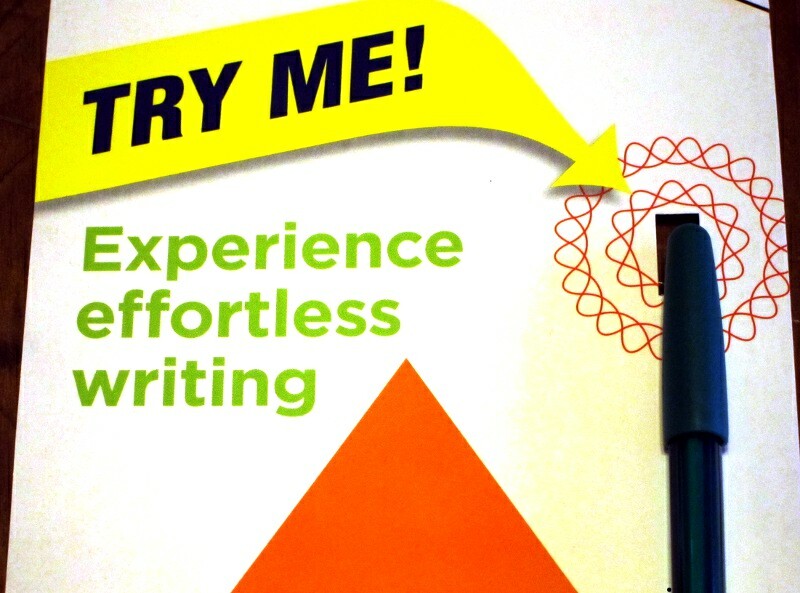 In any case, the pen was attached to a flyer that promised the user will “experience effortless writing.” If only, pen. If only. Great news on the acceptance from Unknown Awesome Magazine, Laura! Hmmm . . . where do I get one of those pens? 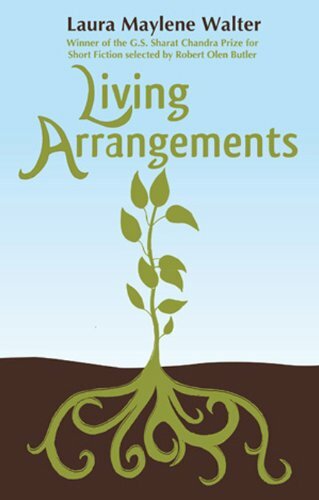 Congrats about your acceptance. I haven’t had any new pieces taken for a while and am going nuts! Thanks for list too – you wouldn’t have an English version of the same thing? Congratulations! You’ve received another rejection. Laura Maylene Walter is proudly powered by WordPress and the SubtleFlux theme.